Thanks to the continued support from SGA, the BSC Library has acquired a new batch of DVDs for students to check out this Fall! These new DVDs, which represent a wide variety of genres, are now available for checkout. The new DVD collection includes critically acclaimed films such as Best Picture Oscar Winners: The Artist (2012), The King's Speech (2011), and The Sting (1973). 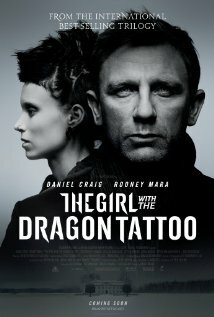 However, the new set of DVDs also includes "just-for-fun" movies like The Girl With The Dragon Tattoo and Captain America. Other additions include Disney's Beauty and The Beast and Clint Eastwood's Gran Torino. Come check one out! Throughout the semester, students are encouraged to request movies that are missing from our collection. Halloween is only a few days away! At the Birmingham-Southern campus, there are two long-held Halloween traditions: Halloween on the Hilltop and Organ Spooktacular! 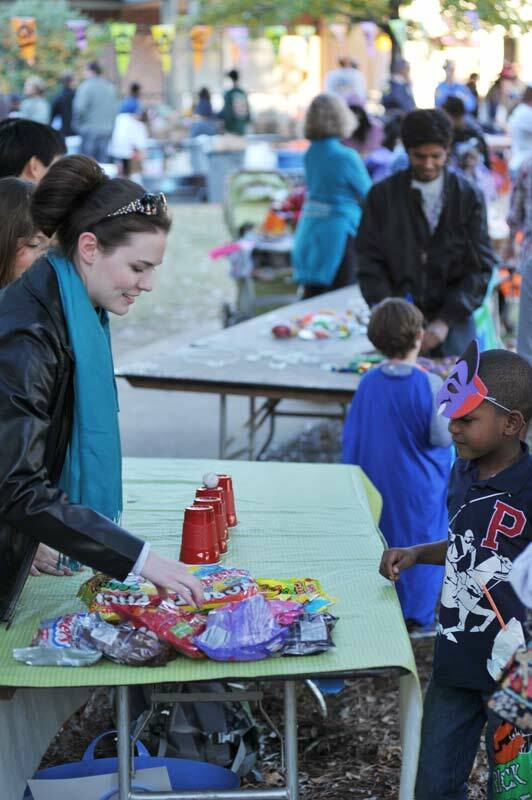 Halloween on the Hilltop will be taking place this Wednesday, Oct 31 from 5- 7 in the Residential Quad. 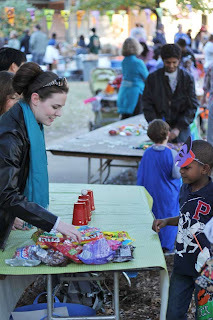 Children from the community under the age of 12 are invited to come for some candy and fun games! Organizations from around campus have booths with fun games and lots of yummy candy. Halloween on the Hilltop brings the entire campus together and is a fun time to dress up and get to know people from around the community. Organ Spooktacular will be taking place this Wednesday, Oct 31 @ 9:30PM in the Hill Recital Hall. Dr. James Cook will be performing spooky songs on the organ! Costumes are encouraged. No need to go off campus this year for Halloween! 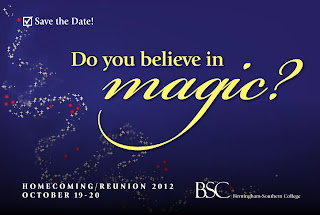 Like every year, Birmingham- Southern has offered plenty of festive activities for the campus to enjoy! They are sure to give you a fright! Thanks to SGA, we can provide a vast selection of DVDs to students and faculty! Want to watch a movie that is not in our collection? Request it! The library (with the help of SGA) will purchase movies soon for your viewing pleasure. While you are enjoying the Homecoming/Family Weekend festivities be sure to stop by the Library and pick up a few items from our annual Library Booksale! There are hundreds of interesting items: old BSC yearbooks, foreign language dictionaries, literature, fiction, plays, many books on religion, psychology, history, Latin America, cooking, etc. We are also selling records (LPs) -- both classical and popular. The prices are right, too! Fri. - 8 a.m. - 5 p.m. Sat. - 9 a.m. - 5 p.m.
Family Day and Homecoming Weekend! 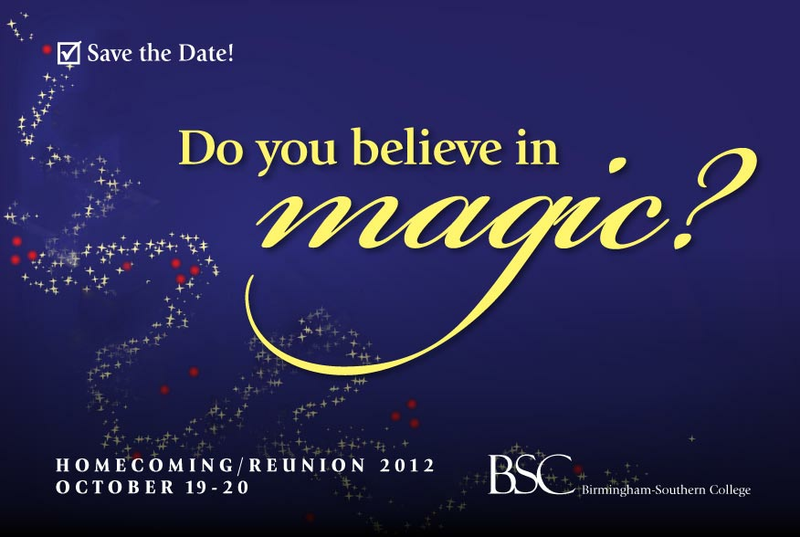 Family day and BSC Homecoming Weekend is fast approaching! Saturday, October 20 is Family day at BSC. Families can join General Krulak in the morning for a welcoming breakfast at Hulsey Lawn (outside the admissions building). Later, students and parents alike will enjoy showing their school spirit by tailgaiting before the Homecoming football game vs. Sewanee. As our formidable football squad takes the field, the BSC Panther Pride Marching Band will perform, and lookout for the crowning of our Homecoming King and Queen during halftime! 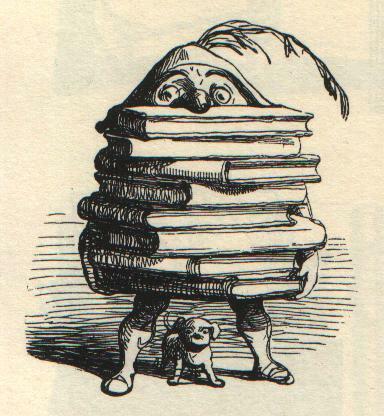 While your family is visiting campus, you should bring them to the Library to visit the library's annual booksale! The library sells a variety of used books year-round, but during homecoming weekend, the library presents hundreds of books for its big blowout sale! The books come from a broad range of academic subjects--you never know when you might uncover a gem, waiting to be read! Have a fun and safe Homecoming Weekend! Forward, ever! Sunday, Oct 14 -- 2pm-midnight (Resume regular schedule). Good luck on midterms, and have a happy fall break! rehearse a scene from "Richard III." 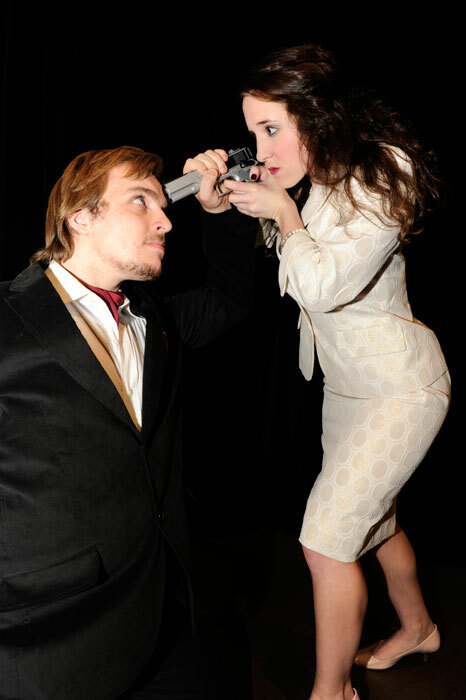 This weekend, the BSC Theatre Department will present a unique version of William Shakespeare's classic, Richard III. Shakespeare's historical play chronicles the ascent of Richard the III of England and his brief reign as King. Performances of Shakespeare's Richard III will take place October 4-6 (7:30pm) and October 7 (2:30pm). Tickets cost $15 to the general public and $10 for students. Not only does this show promise to be tremendously entertaining, but the event also counts toward an EEIS credit. The show features light design by senior Nolan Martin, sound design by junior Brooke Gronemeyer, and stage management by Gia Nappo. To support this show, director Alan Litsey will join professors Kent Anderson (English) and Matt Mielke (Theatre) to present "Bad Leadership: Richard III's Passage to Power." Students Josh Philips, Christie Connelly, Daniel Bullington, Brent Irwin, and Mary Claire Owen will be on hand, as well, to assist with the presentation. This Provost's Forum event will take place at the College Theatre Mainstage during common hour on Tuesday, October 2.